In the hearts of canine “owners,” dogs are part of the family. Historically, a person who shares a home with a pooch had to make interior design sacrifices to accommodate a furry family member. Conversely, a canine had to make sacrifices as well when a human desires a fashionable residence. The reality is that dog lovers do not need to sacrifice style in their homes. Moreover, a pooch can have a truly comfortable life in a well-appointed residence. The key to satisfying the broad spectrum of needs of humans and canines in a home can be met with planning and creativity. Towards this objective, there are five interior design tips for a dog lover that you need to take into consideration. Understanding that many people live on a rather strict budget, the suggestions in this article can be implemented at a reasonable cost to a human. A dog’s human family member need not expend a tremendous amount of money and break the bank to accomplish these objectives. In addition, these individual interior design ideas for a dog lover can be fully satisfied and implemented in a relatively short period of time. If the media is to be believed, men like man caves and women like she sheds. Dogs are fond of having their own dens. There are a number of practical and stylish options when it comes to adding a dog den to a residence. A dog den can be something as simple as a kennel with added accoutrements that enhance the overall comfort level of the space. A human can also “block off” a snug space in a home to serve as a dog den. For example, if there is space under a stairwell, that can be transformed in to a snug, secure dog den. Although dogs are highly social animals overall, there are times when a dog desires to retreat to a safe place. A dog den provides an ideal retreat for your furry family member. Some people prefer to try and keep their dogs off of the furniture, no matter how much they love their furry family members. Dogs tend to have a deep desire for companionship with their human family members. As a result, dogs typically want to be in close proximity to their family members. This can include joining humans on sofas and in beds at night. An oftentimes effective strategy to limit the number of times a god gets on furniture like a sofa or bed is to have a comfortable dog bed nearby. In other words, a person sharing a home with a dog is wise to have more than dog bed in the residence, including near the bed and near a sofa or other space where the resident humans spend a good deal of time. An ever-increasing number of people work from home, at least part of the time. Following important productivity practices, a person who works from home likely establishes a home office. Human family members over a certain age understand that a homeworker sets boundaries when it comes to residential office space. The same cannot be said about most dogs. As mentioned previously, dogs strongly desire companionship. They desire close contact with their humans. Banning a pooch from a home office can end up agitating the canine, resulting inn the dog engaging in highly distracting behavior when a person attempts to get work done in a home office. This type of issue can be resolved through the installation of a comfortable and attractive kennel within a home office. A kennel can be constructed that matches the overall design concepts of a home office, if a person so desires. A kennel can be crafted as an addition to the furniture selected for a home office. The typical human who shares a home with a dog ends up having to stow a considerable number of items associated with a canine family member. What most often happens is that dog items get spread across a residence, for one reason of another. 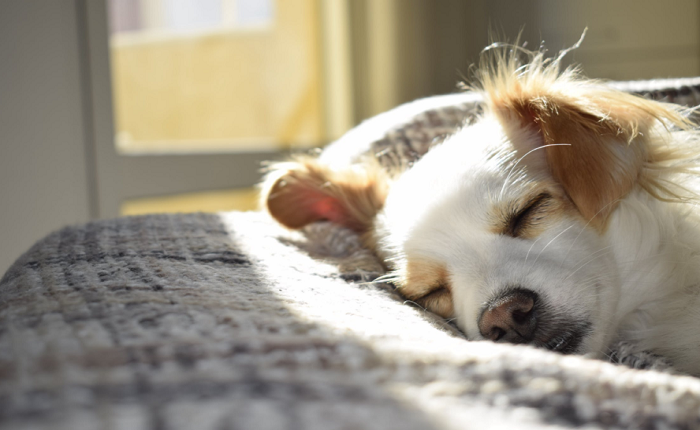 The spreading of pooch items all over a home can be minimized if a specific space is designated for these dog-related things. A mid-size closet tends to be an ideal space to stow a dog’s property. This can include everything from food to toys to leashes to everything else belonging or pertaining to a canine. The concept of a dog storage closet can be taken a step further. What might best be called a doggie day room can be added to a residence. This space can be outfitted with all of a dog’s favorite items and is not merely for storage. It is a retreat designed specifically for your pooch. A designated doggie day room is particularly useful when a human is away for a residence for a significant part of the day. A dog can comfortably retreat to this space when his or human is absent. A dog will feel secure when it a doggie day room when humans are out and about. The reality is that aa person who shares a home with a dog will want to consider employing all of the ideas presented her. A comprehensive approach will establish a sense of balance in a residence that will benefit humans and dogs alike. The happiness of a household will be optimized on all levels and indefinitely into the future.